13-year-old Ankita was looking forward to her first day at boarding school. She was ill the day she went in for the admission. 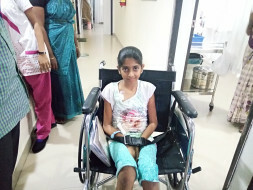 Within 8 days, Ankita was in a serious condition and her parents heard from the doctor that their daughter has cancer. Now her family is struggling to save her. 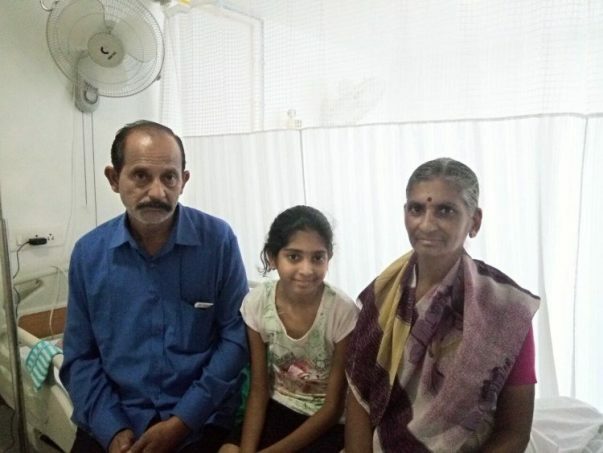 Basavaraj and Bharathi escorted their daughter to school for an entrance exam. She was running a temperature in the morning. They gave her paracetamol, and sent her for the exam. She fared extremely well and was accepted immediately. By the next day, her fever was back, so Ankita’s parents took her to a local doctor who gave her a shot. They dropped her off at the dorm and left the school. “We missed our bus, so we stayed back in town. We met her the next day by when her fever had gotten worse. At the hospital the doctor checked her blood report. Her ESR count was high. He said it needed to be much less. She was admitted for 2 days, after which she went back to school, and we came home." 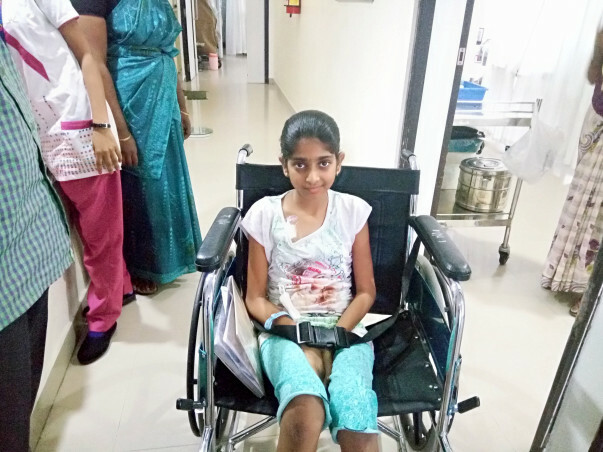 Basavaraj had to rush to the school thrice in a week as Ankita's condition kept getting worse until the school sent her to Mangalore. At the time, she was not able to even climb the stairs or walk because of severe pain in her limbs. Basavaraj breaks down when he thinks about his daughter’s condition. When she asks him questions about her condition, he is hesitant, to tell the truth. As far as Ankita knows, she just has a blood infection that can be treated only at HCG hospital in Bengaluru. 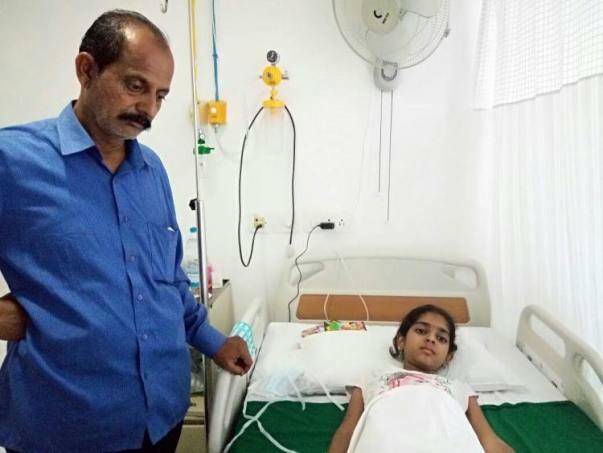 Ankita is now battling cancer without even knowing it. Her treatment is estimated to cost nearly Rs. 19 Lakhs, an expense Basavaraj cannot afford on his income. He is grief stricken over her state and needs your help to save his daughter. Harini is in her last stage of treatment which is maintenance chemotherapy. Her health has improved a lot. After 4 more maintenance chemo she will be doing only regular checkups every month. Here is an update on Ankita. 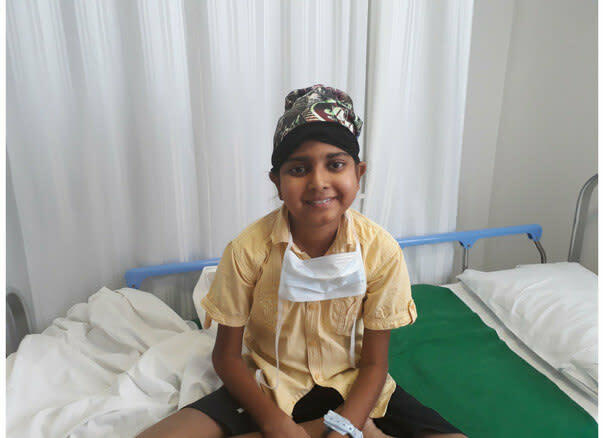 Ankita completed her 2nd cycle of chemotherapy sessions and has been discharged from the hospital today. She has to go to the hospital on 29th for her blood check-ups. She has fever and stomach ache as the side effects of chemotherapy. Doctors have advised taking rest for 6 months for her recovery. Ankita is doing better now. The treatment is going as planned and she is on the road to recovery. 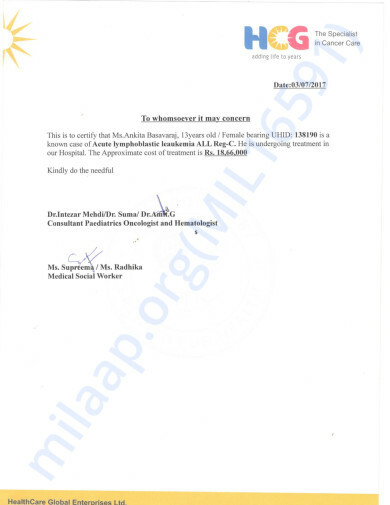 The doctors had initially suggested a 6-month course and we are done with one and half month roughly. So far we have completed 4 sessions of chemotherapy, the 5th session is scheduled on the 10th of August. She has normal side effects like fever, nausea, giddiness. 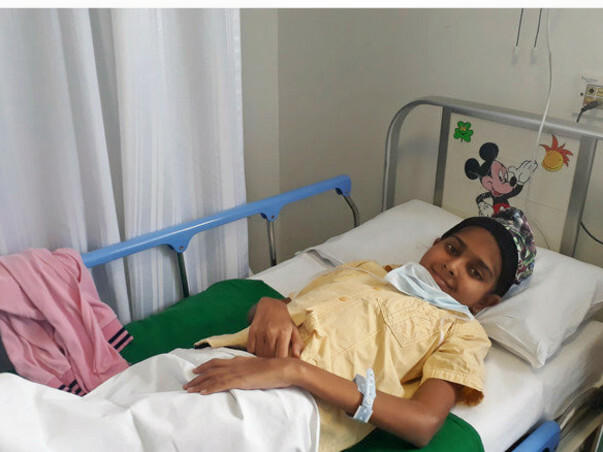 The doctors are optimistic about her response to the treatment so far and suggest that she might not need to undergo the Bone Marrow Transplant. Thank you for all the love and support. Please do pray for her recovery. May God bless you with quick recovery. Wish you the best in your treatment and recovery.